This timeless oceanfront home is being offered fully furnished and is ready for you and your family to live your best, beach life. There are several large porches with direct ocean views. Simplicity in form and function is just what you need at the beach. There are 5 bedrooms and 5 full baths. The open kitchen, dining area and great room are on the top floor providing inviting views in your main living areas. An elevator gives easy access to all floors. Washer and dryers on both levels, plenty of storage for you beach toys, steps to the beach, and a small den on the first level make it a great family home. 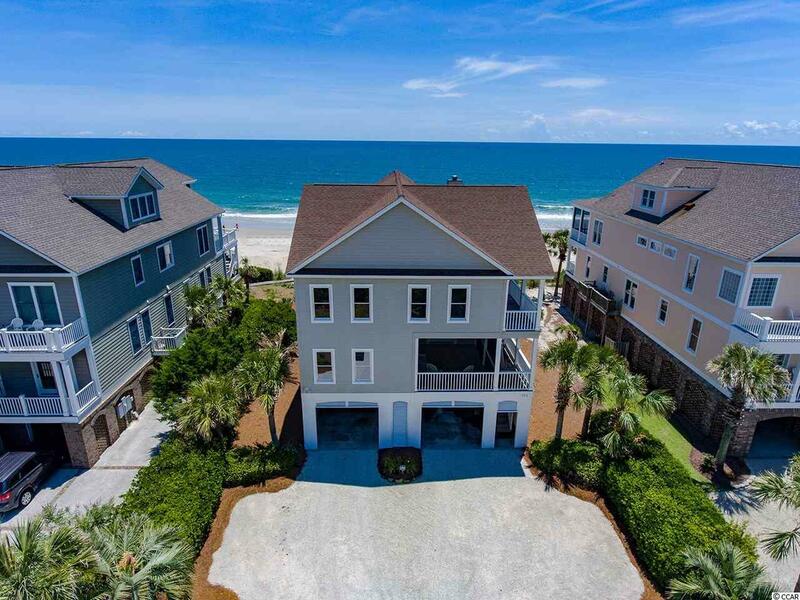 Enjoy the Pawleys Island and Litchfield coastal heritage with your family. Inlet Point South is a wonderful gated community in South Litchfield with a boat landing and pool offering fun for all. Call to learn about his homeâs rental income and much more. Directions: From Hwy 17, Head East On Litchfield Dr. And Curve Right To Get On Norris Dr. Follow Norris To The Inlet Point South Gate And 903 Will Be On Your Left.